Choosing the best Practice Management (PM) software is singularly the most important decision the ambulatory provider practice will ever make. In the US healthcare system, providers are compensated on a fee for service basis. Having an ability to move patients through your practice easily and efficiently needs to be of primary concern when a provider begins a practice. Thankfully, PM software facilitates this move of patients through the office and does so by adding efficiency in the core components of the practice. 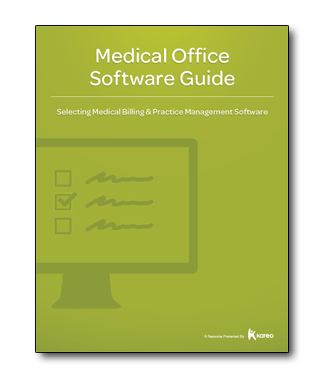 This free white paper from Kareo will provide you with the ways PM software can improve efficiency, the costs of implementation, how to measure success, and reasons why PM software makes sense for your practice. Download it today!